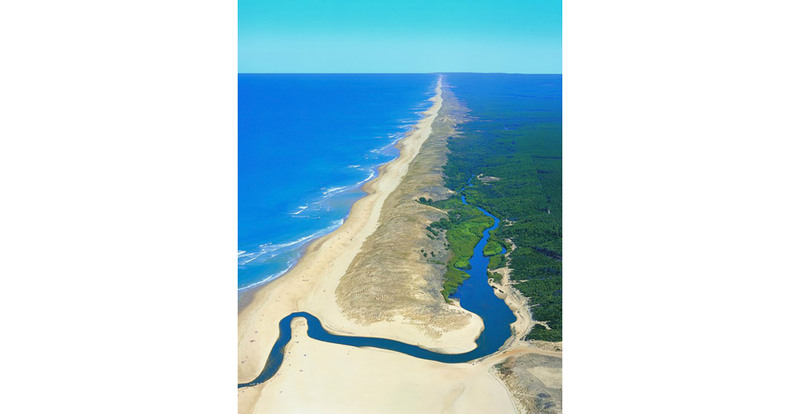 A stone’s throw from the Parc Régional des Landes and barely 10 minutes from the glorious beaches that are so typical of the Landes, within easy reach of Léon, Moliets, Contis, Vieille St Girons and Mimizan, our Holiday Resort and Village will simply captivate you. 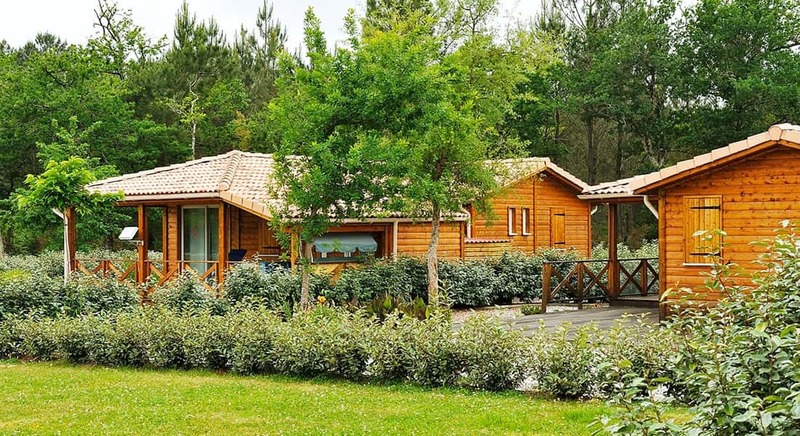 The 6 owners of these holiday homes will be able to revel in the peacefulness and cosy ambience of this hamlet in the heart of the forests of the Landes. For the sake of your well-being, the Holiday Resort and Village is surrounded by areas where no new building is authorized, so the only sounds you’ll hear will be the crickets and the murmur of the nearby sea. In your new house, the choice is all yours! 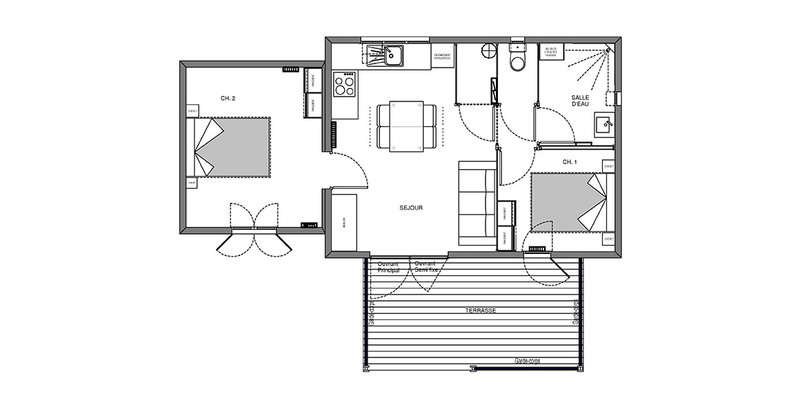 L’Airial de Frouas is composed of new turnkey timber-frame houses with 65 m² of floor-space. Naturally, all houses have been built to comply with the most recent construction standards and regulations. 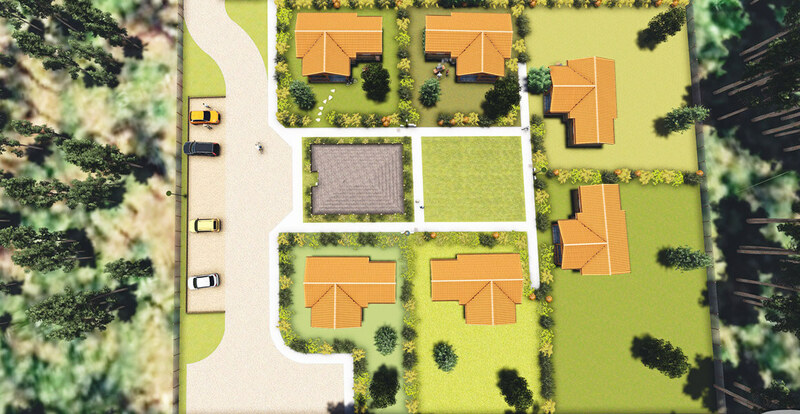 Houses are available with either 2 or 3 bedrooms and are ready to live in. 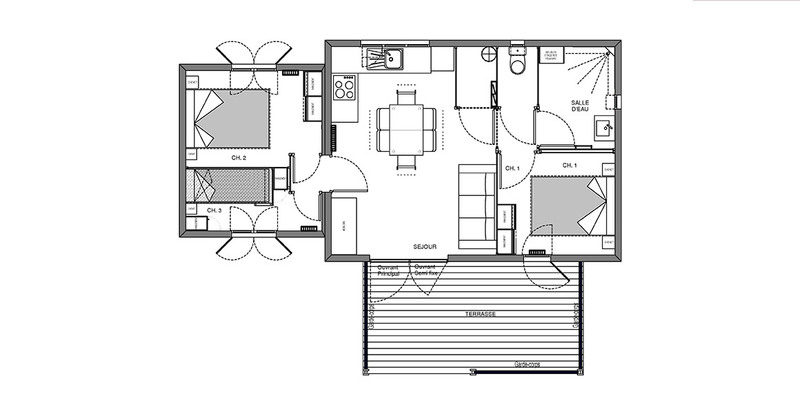 They also have a fully-equipped kitchen and bathroom, a living-dining room, a toilet, a utility room and a covered terrace… All this comes without any kind of co-ownership fees! In addition, you are covered by a 10 year building warranty, dommage-ouvrage (contractor’s liability insurance), and benefit from reduced notary fees (3%).